I recently found white cauliflower like white tufts on the side of one of my CA cichlids. Upon much research I've 99% concluded its Lympho. Now my whole 340g system is infected. I was going to rearrange some fish, one of the being some Marble stingrays into the 340 and cichlids to another system. My question do I have to break the 340 down and clean it or will the virus disappear upon removal of the infected fish? Can Potamotrygon even catch the virus. What steps should I do to clean the system after removal of contagious fish and setup? <Without a photo hard to say anything specific. Your analysis is reasonable, though cysts and tumours can develop on the gill covers, and these might not be granular like the typical Lymphocystis. So as always, review water quality, water chemistry, frequency of water changes, diet, and the social behaviour of your fish. Most of these cyst-like problems are gradual responses to environmental stress rather than bad luck, so assume something is amiss, review, and act accordingly. <Indeed... 20MB for just two images! Please do reduce images before sending them. Midway through writing this a message popped up telling me our email allowance was used up, so new messages will be bounced back to the sender. which results in similar looking cysts, and this is rather more common. The Carp Pox can't be cured but gets better (across many months, even years) if fish are provided with good conditions. On the other hand, Coldwater Whitespot can be treated easily, the old heat/salt treatment working extremely well. I'd do the salt/heat thing first. Note that Coldwater Whitespot seems to be related to water quality, being latent in most Goldfish and Koi populations, but only becoming a problem when the environment isn't good. I had obtained a juvenile platy about a year ago. In the past few months he developed dark pigmented areas that are now growing what appear to be tumors. I believe he has melanoma; it appears similar to images for platy melanoma I found on the web. Lately dead tissue has started sloughing off of the tumors. Do you know if this condition is purely genetic, or if there is any viral or infectious component? I'm wondering if the dead tissue gets into the environment, or gets ingested by the other platies, if that could cause harm. He seems unaffected by this condition, so I was just going to let him keep going until the tumors got too big, then euthanize him. But maybe it would be best to separate him from the other fish. Hi Crew! I’m hoping you guys can provide some advice or insight regarding a sick African cichlid- “Bumblebee” (Pseudotropheus crabro) that I have had for almost 4 years now. He is just over 5 inches in length. Tank Info- 75-gallon freshwater tank; Marineland Emperor 400 HOB filter; 2 airstones powered by Whisper air pump; Tahitian moon gravel/sand which replaced pebble gravel over a year ago. Aquasafe water conditioner used during all water changes. Tank mates- 1 acei cichlid (approx. 5.5 inches in length) ; 1 electric yellow (3.5 inches in length); all 3 cichlids bought within 2 weeks of each other and were at similar sizes at purchase; no other tank mates ever. Bumblebee has generally been in the middle hierarchy of the tank as the acei is the most dominant tank inhabitant and the electric yellow as the least dominant with no major incidents- just the usual territorial/chasing behaviors exhibited by all 3 over the years. There are also a number of Anubias plants in this tank that have been in the tank for just over 2 years. The system has been quite stable with no major environmental concerns outside of a submersible heater that went bad early in 2011 and water temps dropped for a few days before I noticed. Water quality is tested at least monthly with 15-25% water changes completed every 2-3 weeks or more frequently on some occasions. I feed daily Hikari Cichlid Gold medium floating pellets and Omega One Super Color small sinking pellets simultaneously to help with aggression during feeding- no changes over the last couple of years in terms of diet. In July of 2012 I first noticed 1 then 2 small “pimples” developing on Bumblebee’s nose between the eyes (see first image). No other concerns noted at that time- no changes in activity; appetite still great, etc.. Water quality was tested and was in range of the tank norms (pH 7.6; 0 Ammonia; 0 Nitrites; 5-10ppm Nitrates; 81.5 degrees F). I have always added a low amount of aquarium salt during water changes (1 tbsp per 10 gallons or half the recommended dose due to the plants in the tank) but I increased the salt to the recommended 1 tbsp per 5 gallons at that time hoping that the pimples were just the result of scratching against décor or an aggressive tank mate. No changes observed whatsoever with tank mates to date. Over the past month the 2 pimples have begun to grow quite rapidly with no other changes noticed in activity except that the bumblebee has been the least dominant tank mate since mid-August. Appetite has been great/no changes in activity levels. I have treated him for the past week with API’s T.C. Tetracycline powder- 2 packets per day due to 20 gallon quarantine tank with 25% water changes every 2 days.. I used that treatment for 6 days with no results (see other 2 images attached). Bumblebee continues to flash against the corners of the tank and has debrided some of the ulcer/tumor- there are no décor or substrate in the hospital tank only a heater, airstone, and AquaClear 50 HOB filter.. I removed the tetracycline and it’s brownish water discoloration by placing activated carbon in the tank and have done significant water changes to the hospital tank. Many of the FAQ’s on WWM that seem similar to my cichlids issues have suggested the use of Nitrofuranace and Metronidazole. The products in my area containing those ingredients that I could find this weekend are the API products “General Cure” and “Super Ick Cure”. I added today to the clean hospital tank the “General Cure” for a 20 gallon treatment since the active ingredients are 250 mg Metronidazole and 75 mg Praziquantel per packet. I am attaching a couple images to clarify what this looks like because this seems to perhaps be a tumor issue as opposed to a bacterial, fungal, or parasitic condition. The ulcer/tumor is quite large now and looks like it might be spreading just below his right eye and my other concern is that it might be growing inside of Bumblebee’s mouth and I can see a slight pink growth near the top of the mouth (but this is difficult as you can imagine to see definitively). There do not appear to be any changes in his breathing at this time. Appetite during and since the completed Tetracycline treatment has been very minimal but that seems to be the norm with antibiotic use as I understand. I appreciate your input and perhaps someone has had some experience in this type of concern- if not I will continue to run the current course of treatment and if unsuccessful I will enjoy the time remaining with Bumblebee unless it causes him distress as I’m really concerned about what could be growing inside of his mouth and how that might impact his quality of life. Sorry for the length here but I wanted to describe everything I could to aid in your input- to clarify my questions now are as follows..
1. Any thoughts as to the epidemiology of this growth? 2. Should I continue the “General Cure” treatment over the next 4-6 days? 3. Should I simultaneously use the “Super Ick” powder with the “General Cure” to combine 3.6mg malachite green and 60 mg Nitrofurazone per packet along with the Metronidazole? Thank you so much for your time in this regard! It's the first time I write to you and I have read almost every post in your website regarding "infections(?)" of sterbais. I have 3 sterbais for almost a year now in a 10gal aquarium. I do water changes every 3 days at 20% per time. 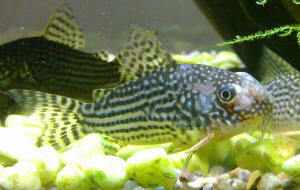 although he hasn't lost his appetite (I feed them with catfish wafers - Tetra Wafer Mix ) but he lacks of activeness. I have tried an antibacterial medication with Acriflavine because I strongly believe it's bacterial related infection, but no luck. It seems to recede for a few days but it spreads again. PS: Apologies for my English but I'm from Greece. Thank you for your prompt reply! I appreciate your advices but mostly I appreciate your disinterested help. I will consider purchasing a bigger tank (although my finances do not allow it) but I will keep PH levels in lower levels. Also, if I understood well, I will stop Acriflavine treatment, I will improve their diet with a more varied food and I will get a better filtration system (just to sum up your suggestions). I hope they can make it since (as I see it now), they all have (or will have) the viral issue and not just the one you saw. Once again, I really appreciate your help! I wish I could reciprocate (I'm a web designer if you're interested). Great tip about the rainwater! I think it's time to use those 5-6 basins I have and collect the rain..! Although I have concerns of the polluted air that is dragged by the drops. Unfortunately, I live in Athens, and it's very polluted here. It seemed that I'd solve the PH issue with the rainwater but I'm not going to risk it with all the exhaust emissions. So, what I was thinking to do is make a road trip to a nearby mountain and collect snow instead (it's the only way to avoid any chemicals!) and then follow the procedure you suggested. I hope this will solve my problem but I need to find another way of lowering the PH cause weekly trips to mountains is not ideal unless 2-3 times is enough to stabilize the PH to the desired levels! PS: My offer is still on! So, please don't hesitate. My store has a few tanks that appear to have been infected with a viral disease. The infected tanks are losing fish slowly with specific species being wiped succession. Other species seem to be unaffected. The first to go were lemon tetras, followed by a variety of Corydoras but ignored the German rams and pearl gouramis. Most of the Ancistrus in the tank were fine however a couple died. Then it spread to another tank potentially via a net or hand where it killed all of the bronze Corys, all of the Peckoltia L129 Plecos, and a couple emerald dwarf Rasboras, it began to affect the Congo tetras but a single dose of Kanaplex seemed to curb any further deaths. Now its found its way into a third system where its quickly wiping out my silver hatchets, C. sterbai, and Barbus fasciatus. Kanaplex has had little effect. 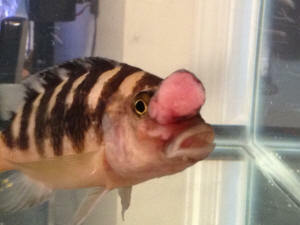 The fish are characterized by some white sores, red bellies, red eyes and sometimes no signs at all. I'm wondering a couple things. How long should I quarantine these systems (when can I sell fish out of them again)? How can I control the spread? Our net soak usually just has copper, perhaps you could suggest something else. Maybe we need a separate net for pulling dead fish out of these tanks? When performing maintenance is there anything we need to do afterwards to our hands and arms? Will the virus or bacteria die off when it dries on an arm? What will eventually kill off the virus? What would be a reasonable amount of time (be specific) to wait after deaths have stopped before restocking? Sounds like I need to take things to the next level. I've ordered the book and will look into the medical equipment. Thanks for the advice. My two stores are in the Portland Oregon greater area. I would love to make it out to the conference and may be able to depending on how the next few months treat us. As a freshwater only store things are so easy that I think we get a little complacent when it comes to knowledge and husbandry. We have a local supplier who has always been exceptional at helping us when we do have issues. One of the main challenges I face when doing research on disease is the wide array of treatment regimes that are recommended on the great information superhighway not to mention influence from sales reps, customers, etc. In general I'd like to use products and practices that are marketable within our stores though I'm realizing at times that may not be the most prudent or ethical course of action. Obviously I don't expect every 20 gallon community tank owner to own a microscope for diagnosing disease in their fish, yet I also see the value in executing that practice in our stores to reduce the need for our customers to require one. I've been wanting to invest in one for years anyway as its benefits would be widespread throughout my full line stores. There are other economic considerations that are often at odds with what I'd like to do and what is economically feasible and over the years I've learned to navigate a compromise between best practices and growing the business to a point where those best practices are possible. 90% of our freshwater problems seem to have been solved through better sourcing, selection (avoiding certain species altogether i.e. Colisa lalia), and frequent (daily) small water changes in our systems. I am young (30 as of a couple days ago, maybe not considered young anymore), with 7 years experience as a pet store owner. I want to be a positive force in the hobby not someone who drifts through the role and becomes old, jaded, and unwilling to change or grow as I've seen happen. It takes significant time and life commitment to obtain the breadth of knowledge you have in such a wide variety of knowledge bases. The business aspects alone I know will take a lifetime to master let alone the animal sciences involved. At some point I hope to find a business model that allows economic growth while also growing popular pet keeping culture to a level that is...lets just say more inspired. 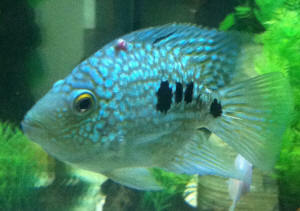 I have a Black Convict Cichlid. He is in a 30 gallon tank with a female that just had eggs hatch. He has these little reddish/white bumps at the base of his pectoral fins. It looks a little like the eggs that the female lays. They have been there for at least a week. It looks like it may be getting worse. 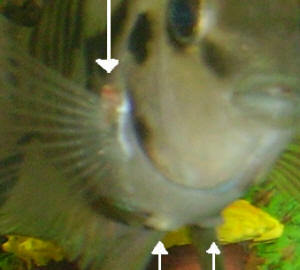 I have also noticed he has two symmetrical bumps on the front underside, almost in line with his pectoral fins. I have always done frequent water changes. I have API Pro Series Fungus Cure. I just don't know if this is exactly what I need to use in my tank. I think I may need the Fluke Tabs. I really don't have any idea. And it bothers me to know this is on my fishy fish. He eats fine and does not seem to be in any pain. But it just does not look healthy. I also have fry that hatched 2 days ago. So I was wondering if I can treat with Fungus Cure or Fluke Tabs ? Its not a big concern if I lose the fry. But It would be nice to keep them. But I don't want to lose my adult male. I would like to know what you think it may be and how best to treat my tank. 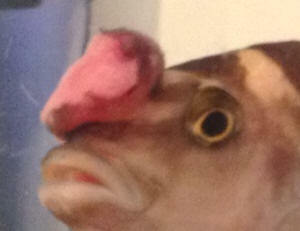 I have included a picture (the best I could get) of my fish. I have photoshopped 3 white arrows to the areas of concern. Any help would be appreciated. I also would like to say I have looked everywhere on the web. I have read through many fish forums until I get a headache. Once I think I have began reading the right symptoms, something differs and makes me think this is not the right diagnosis. I appreciate all of your time and your knowledge.